Last week the North American 3DS eShop revealed 3D Streets of Rage 2 would arrive on 16th July for $5.99. 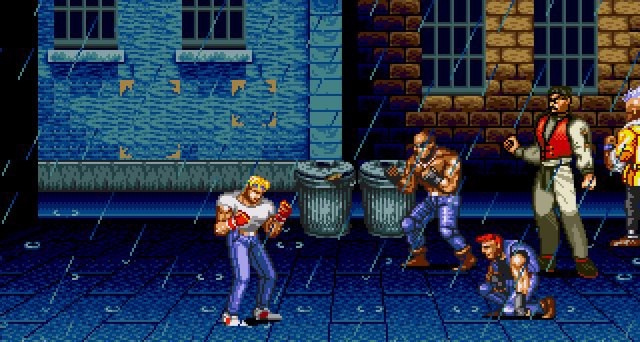 A week later, and SEGA has informed fans via Twitter that there has been a slight delay, with the second entry in the Streets of Rage series now scheduled to release globally on 23rd July. This global release date makes up for the fact regions outside of the US previously had no idea outside of the month of July when M2's recreation of the 1992 side-scrolling fighter was arriving in their respect territories. Fingers crossed the date sticks this time and we are brawling on the streets before the end of July. Tell us in the comments if you are excited to get your hands on this classic hit with a 3D twist. That news alone turned my messed up day back into a more messed up day. Darn it! At least its coming tho. The wait continues.... P.S. I'm first! I will just play it on my Genesis till then. The binding of Isaac, streets of rage 2....the 23rd is looking pretty good! so torn on this one. I played the game too much in my youth, which makes me want to have it on my 3DS fro nostalgic reasons, but also makes me aware that I would likely only play it 2 or 3 times, before excessive familiarity kills the fun. already played this on my iphone long ago. At least they should revamp the graphic. If this game were made today you can bet it would be so dull, gritty, "realistic" and just bland looking, that it would lose so much of the look and style that made so appealing in the first place. Pretty sad when you think about it. Please! Please! Please! Keep them coming Sega. Such a great series. Perfection on 3ds is all I can say. Very sad and very true. It was happening with the likes of Fighting Force and The Bouncer before the genre disappeared. @Kirk Yep, Im starting to think it really was the 'good old days'. Well, I at least I now have a modded 60Hz Megadrive with a SCART lead, and these old games look great on a CRT TV. ;_; Oh well, I'll wait a week and buy it then. To keep me ocupied till then, i will play it on the Xbox 360. I got the full collection, and the stand alone too! Still, can't wait for it, the 3D will be awesome, and the love that M2 gives to those classics makes them a must buy for any gamer that is a Sega fan, or at least had a Megadrive/Genesis at that time and played this to bits!